Pre-health is not a major—and that’s a good thing. Medical schools seek well-balanced students who are grounded in the natural sciences, humanities and social sciences, and who possess both the scientific skill and compassionate spirit to care for their patients fully. To that end, the pre-health professions tracks offer scientific depth combined with the breadth of a liberal arts education.  Gordon students experience high rates of acceptance into medical school and other graduate health programs, and thrive in a range of medical and allied health careers. With careful planning, you can pursue any health professions track alongside any major. All tracks cover the essential courses required by most graduate programs, but you’ll work with your advisor to make sure they fit whatever specific program you have in mind. Why study health professions at Gordon? You will have ample opportunities at Gordon to gain the essential hands-on experience required for graduate school. We are, after all, in the nation’s medical hub; Boston boasts some of the best hospitals in the world. Pre-health students shadow practicing doctors and other medical professionals, engage in research alongside expert faculty, and have opportunities for internships at our on-site Center for Balance, Mobility and Wellness; Bennett Athletic Center; and Harmeling Physical Therapy. The Health Professions Seminar (required for some tracks; recommended for others) includes regular discussions, readings and networking opportunities with physicians, medical students, researchers and other health professionals.